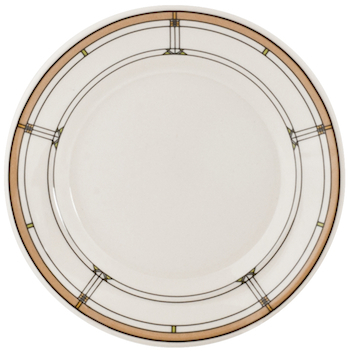 Inspired by Frank Lloyd Wright-designed art-glass windows, these salad plates are part of the Martin House dinnerware collection. The plates are perfect for salad or luncheon plates. Exceptionally durable, the entire dinnerware collection is oven, microwave and dishwasher safe. Take 30% OFF Original Price!